Paper... Something. 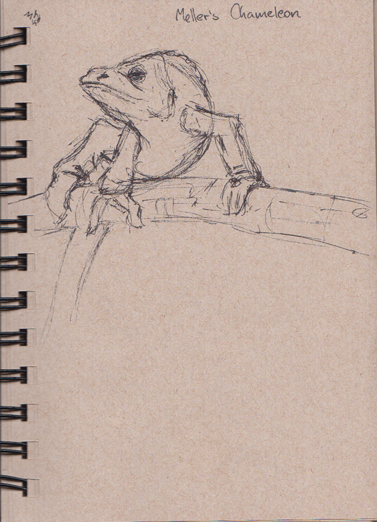 : Chameleon vs. Elephant: Elephant wins. Chameleon vs. Elephant: Elephant wins. 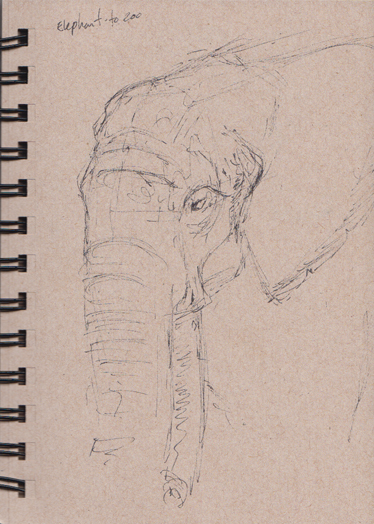 Another trip to the TO Zoo, I think the elephant is a new personal best, so I'm considering it my new sketching bar for the future. Admittedly she wouldn't sit still, so this is a reconstruction using all 3 elephants there given the initial pose of the first one. Apparently elephants only want me to see them in profile, and somehow psychically alter space so no matter where I or they move, its all I see. 360 degrees? "No" say the elephants, "only 1".